Man alive! New York-based Nellie McKay will make an unlikely appearance at Polsky Theatre on Friday, September 28. While she performs a convincingly swinging tribute to Kansas City jazz icon Jimmy Rushing in the embedded video, it would be misleading to suggest that the art/pop/cabaret artist will focus on jazz during her visit to Johnson County Community College. Concertgoers should expect to hear a set that more closely resembles McKay's Tiny Desk Concert for NPR. *Joe Klopus reports that Lonnie McFadden has released a new album. *Delfeayo Marsalis' appearance at the Blue Room was reviewed by The Kansas City Star. *Here's a 30-second radio spot for the upcoming Rhythm & Ribs Festival. *Music recorded at a recent performance by the Black House Improvisors' Collective is available at its site. *KCJazzLark shares additional photos from the Prairie Village Jazz Festival. *I asked Hermon Mehari about "Full Circle," a track from the forthcoming Diverse album that's also available on the free 41-track Midwestern Audio compilation. He told me that it's "(i)nspired musically by me playing in more gospel music situations and conceptually by the general idea of many things in life seeming to come 'full circle' if we look at these ideas and situations in the right away." *Joyce Smith reports on the food and drink menu of the Kill Devil Club. 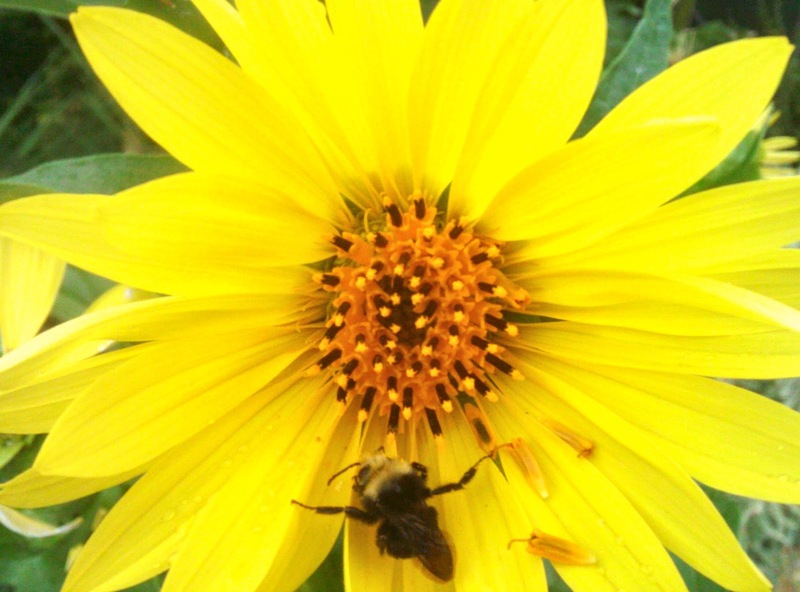 *Weedstock, the successor to Jazz In the Weeds, takes place on October 6. The music of each of the participating acts- Mistura Fina, Passport, Black Tie Billie and the Blues Notions- includes elements of jazz. *Marc Myers admires two obscure Frank Foster albums. *The Oklahoma Jazz Hall of Fame in Tulsa is in financial jeopardy. *Comment o' the Week: Dr. John- Wynton, Branford you guys sound like your much less successful brother - Delfeayo, for real. - You keep proselytizing to the masses who by and large do not care for your obsolete takes on "What Music is", "What Jazz is." Please try and keep on topic. I think the review was spot on. Yes there are some intonation problems but the record does capture the extreme energy of a HOD performance and is an accurate portrayal of what the band is all about. There are some killin' moments on this disc, most have to do with a very talented rhythm section that is only gong to get better. 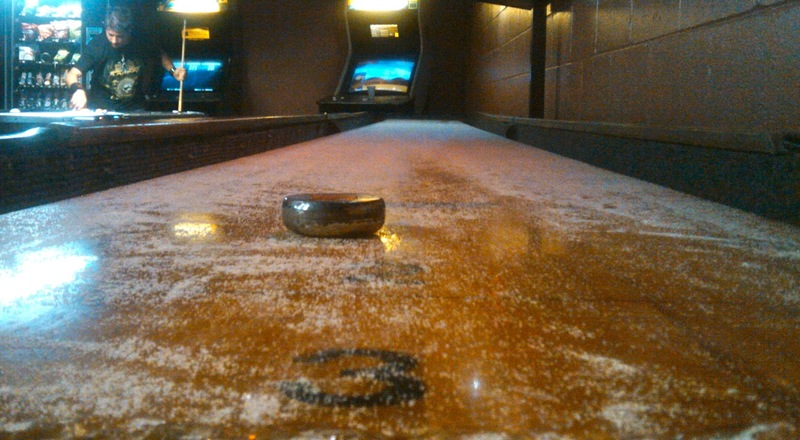 *Tweet o' the Week: CharleyinKC- I just had a drink at the Kill Devil Club in P&L. I think they're still trying to figure themelves out, but when they do it could be cool. Meditations Vol. 1, one of the best albums released by a locally-based jazz musician in 2012, doesn't swing. Furthermore, it bears little relationship to the Kansas City piano tradition of Pete Johnson, Count Basie and Jay McShann. Instead, the solo piano project by T.J. Martley evokes the music of Keith Jarrett, Erik Satie, Thelonious Monk and Johann Sebastian Bach. It's not surprising that Martley's album is challenging. He's the pianist of choice for many of Kansas City's most musically demanding bandleaders. 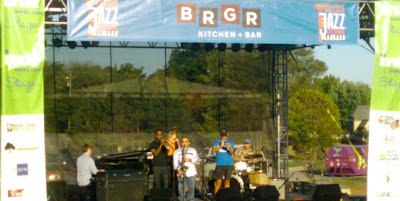 He played in ensembles led by Rich Wheeler and Mike Metheny at the Prairie Village Jazz Festival earlier this month. He's also a member of the fine Lennie Tristano tribute band Crosscurrent. Martley's popular YouTube channel specializes in insightful piano instruction. 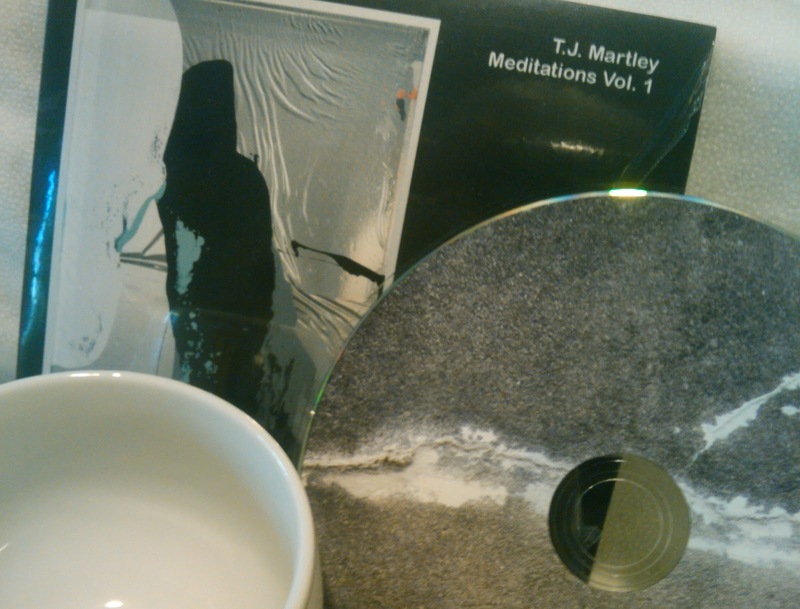 Although it's a technical tour de force, Meditations Vol. 1 isn't dry. The decisions made on the ten "short free improvisation piece(s)" expose Martley's thought process and state of mind. Meditations Vol. 1 may initially seem dense and difficult, but careful listening reveals the album's substantial inner beauty. Was it maliciousness or ignorance that led organizers of the 14th Street Jazz Festival to choose September 8 as the date of their event in the Power & Light District? 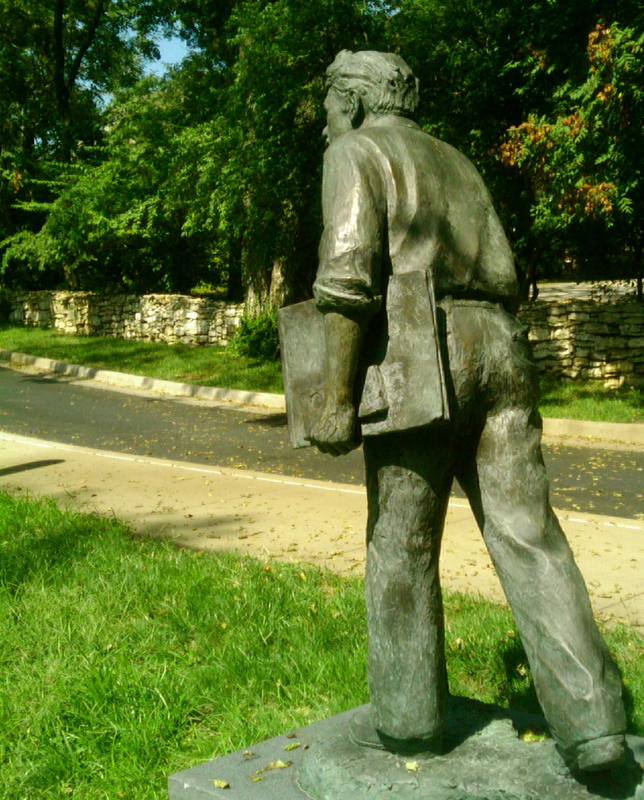 The date had long been held by the high-profile Prairie Village Jazz Festival. (Here's my review.) Even so, the downtown event featured many of Kansas City's most talented musicians. Had it been held on any other day, many of the 3,000 people who attended the festival in Prairie Village would have gladly supported the Power & Light District's event. Thankfully, someone captured Bobby Watson sitting in with guitarist Will Matthews. Watson begins blowing at 7:13 in the embedded video. *The Kansas City Star offers a review of the Kansas City's Jazz Orchestra's debut performance at Helzberg Hall. 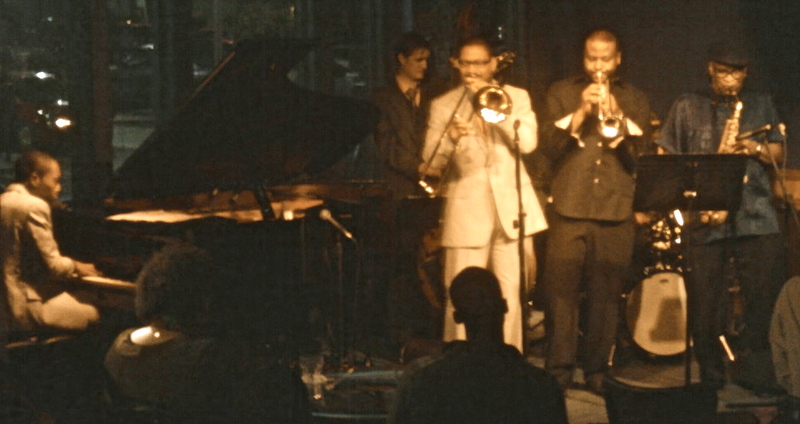 *Steve Kraske interviewed Kevin Mahogany on KCUR's Up to Date. *Outside Inside Out critiques Become Light by the Project H.
*A new recording by Brian Baggett's trio is available as a free download at Bandcamp. *The Kansas City Business Journal provides details about the Kill Devil Club, including the venue's hours and cover policy. 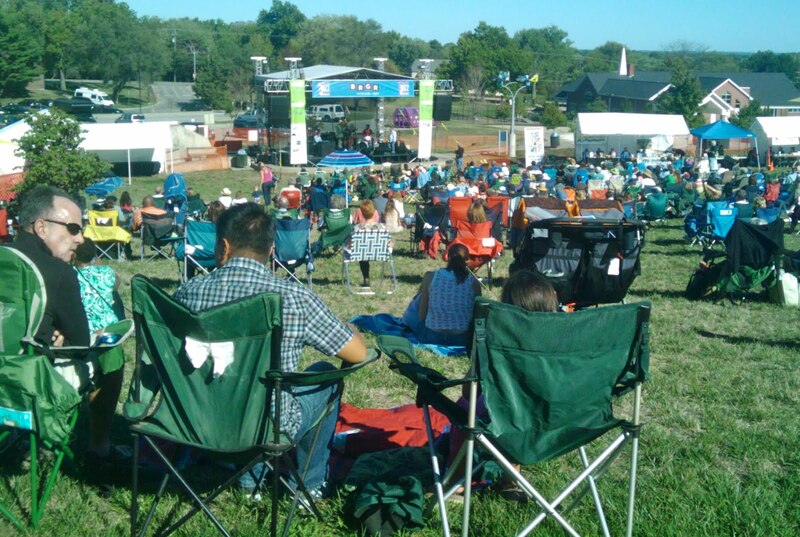 *KCJazzLark provides a recap of the Prairie Village Jazz Festival. *David Hudnall's review of Hearts of Darkness' Shelf Life suggests that the band is " a meaningful, modern link to KC's jazz heritage." *Chris Burnett offers a tease of a new composition titled "Analog Networking." *UMKC's student newspaper attempts to inform students about Kansas City's jazz district. *I got in over my head while messing around at the domain settings of this site's host, inadvertently making Plastic Sax difficult to locate for some readers. I apologize. I'm working on a fix. *Comment o' the Week: Cb- I totally agree with your assessment of Bill McKemy's forward-thinking approach to music and this release as leader, HIB. This recording was among those that struck me as deserving of wider recognition when I first returned home to the KC metro to live. 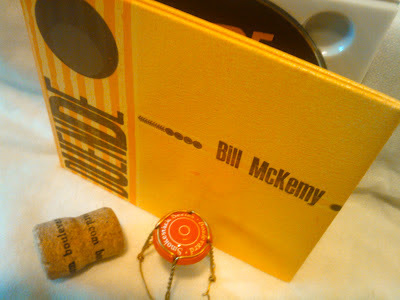 Bill McKemy's Duende may be the most handsome album ever released by a jazz-oriented artist in Kansas City. It features Peregrine Honig's art and was constructed and individually numbered at Hammerpress. That's as good as it gets in this town. The contents are worthy of the deluxe packaging. 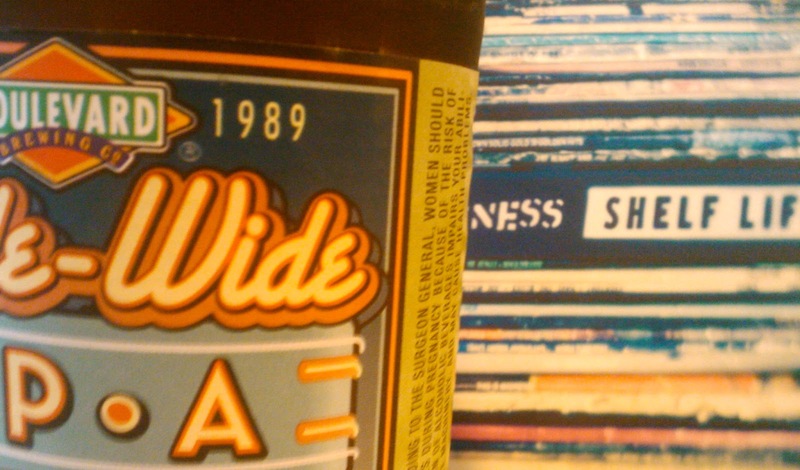 Ten years after its 2002 release, Duende has lost none of its luster. The document captures McKemy (bass), Jeffrey Ruckman (accordion and melodica), Brian Baggett (guitar) and Ryan Bennett (drums) playing exquisitely improvised music. The best tracks evoke both the arty passion of Astor Piazzola's late-career albums and the progressive Midwestern beauty associated with Charlie Haden. In addition to creating a sound without geographical boundaries, the musicians seem intent on subverting the concept of time. Duende's selections range from 37 seconds to over ten minutes. Most tracks are awash in unhurried languor. The brief accordion-bass duet on "Shard" provides my favorite moments, but the entirety of the first seven selections are spellbinding. Sterling Holman adds "effects" on the final track, an electronically treated segment that will be appreciated by aficionados of John Scofield's work with Medeski Martin & Wood. While worthwhile, it breaks Duende's hypnotic tone. It's not difficult to imagine Duende being played at a trattoria in Rome in 1980, in a Buenos Aires cafe in 2040 or at a strip mall in Kansas in 2012. McKemy, Ruckman, Baggett, Holman and drummer Kent Burnham will celebrate the tenth anniversary of Duende with a performance at Take Five Coffee + Bar on Saturday, September 22. Doug Carn, the internet-challenged keyboardist and composer, will appear with drummer Michael Carvin and guitarist Calvin Keys at the Blue Room on Saturday, September 15. Here are four remarkable nuggets from Carn's neglected albums on the Black Jazz label- 1971's Infant Eyes, 1972's Spirit of the New Land, 1973's Revelation and 1975's Adam's Apple. I'm tempted to attend the show just to see if I can talk Carn into allowing me to license these prescient titles for reissue on vinyl. *Anita Dixon of the Mutual Musicians Foundation defends recent changes at 1823 Highland in a remarkable memo published by KCJazzLark. *A television news segment provides footage and interviews of a tourism-related workshop held the Mutual Musicians Foundation on Monday. Key line: "Brand USA has $200 million dollars from the federal government and tourism businesses to increase international tourism." *The debut of the Kansas City Jazz Orchestra at Helzberg Hall is highlighted in Joe Klopus' latest column. *Stephen Steigman interviewed Karrin Allyson last week on KCUR's Up To Date. *The Kansas City Star published reviews of the Prairie Village Jazz Festival and Pat Metheny's concert at the Folly Theater. 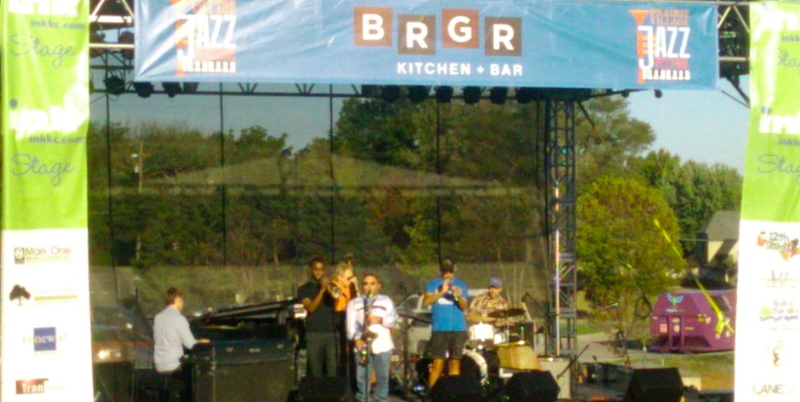 The Prairie Village Post recaps the suburb's jazz festival. The Pitch interviewed Metheny. *Tony Botello reports that Dave Stephens Band will perform at the Kill Devil Club's official grand opening on Friday, September 14. *Marilyn Maye made an appearance on a local television program. *The People's Liberation Big Band will perform at a "street party" following the 2012 Charlotte Street Generative Performing Artist Awards Fellows event on October 5. *Shay Estes wrote an essay about the differences between the technical demands made on vocalists in fado and jazz. *The Lied Center created a thirty-second spot promoting Nnenna Freelon's October 12 concert. *Comment o' the Week: Anonymous- This is by far the best line this year up for a jazz festival in KC. Good job PV!!! 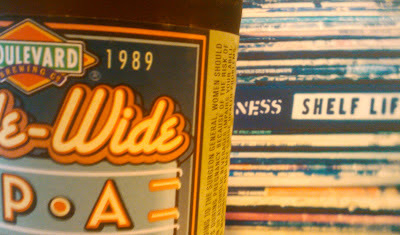 *Tweet o' the Week: KRenea- 18th & Vine is kinda rockin. Might step in the Blue Room to watch this jazz band. *From Bill McKemy: Bill McKemy Quartet to appear at Take 5 Coffee & Bar on September 22, 8-10 p.m. Performance will mark the 10th anniversary of McKemy's CD Duende. Duende was McKemy’s first release as a leader after making 4 recordings with seminal Kansas City avant-garde trio Malachy Papers... The personnel for this date will include Jeffrey Ruckman, accordion & melodica, Brian Baggett, Guitar, Kent Burnham, drums and Sterling Holman – real-time interactive sampling and mix. *From a press release: The Heartland Films, Inc. documentary “Kansas City Jazz & Blues; Past, Present & Future” has been selected for the 2012 Kansas International Film Festival (KIFF)... Former Kansas Citian and award-winning documentary filmmaker Sue Vicory’s jazz and blues film will screen at 7:30 p.m. on Thursday, October 11, as the closing selection of the KIFF… The Thursday night event will be held at the Glenwood Arts Theatre... KIFF and the Kansas City Women in Film & TV (KCWIFT) have partnered to make the closing night a special evening. A party following the screening and Q&A with Sue and musicians featured in the film will be sponsored by KCWIFT. There will be food catered by Lindsay Shannon’s B.B.’s Lawnside BBQ and a jazz and blues jam led by Hermon Mehari and his trio. After captivating an audience of about 3,000 at the Prairie Village Jazz Festival with a wondrous version of "In a Sentimental Mood," Bobby Watson asked a rhetorical question. "Who said ballads don't work at festivals?" Almost everything worked Saturday at the suburban event. The weather was gorgeous. The food vendor's offerings were delicious. The set changes were efficient. And most importantly, the music was incredible. I caught all eight hours of Saturday's festival. My impressions of each act follow. Diverse opened shortly after 3 p.m. Working as a trio and concentrating on standards, Hermon Mehari, Ben Leifer and Brad Williams played with subtle authority. With Williams replacing drummer Ryan Lee, the band has an entirely new feel. It's not better or worse- just different. A few people whined on Facebook that the People's Liberation Big Band weren't given the opportunity to perform this year after a storm canceled most of last year's acts. Such complaints were silly. Saxophonist Wheeler and drummer Sam Wisman are members of PLBB. They were joined by the forward-thinking tandem of T.J. Martley and Bill McKemy. Anyone looking for subversiveness would have been satisfied by a set-closing cover of a Tortoise tune. Wheeler's set was my favorite of the day. Mike Metheny's set, however, was the best received outing of the day. His commitment to swing elicited ecstatic sighs from many people seated near me. It didn't hurt that Metheny employed bassist Gerald Spaits and drummer Todd Strait. Bringing Mehari and Wheeler back to the stage for a burning version of Jimmy Smith's "Back At the Chicken Shack" was another smart move. Fronting a band of ringers, Megan Birdsall was her usual delightful self. Supported by keyboardist Richard Johnson, longtime bassist Curtis Lundy and drummer Mike Warren, Watson was also predictably excellent. Johnson's funk-infused keyboard work on"Lemoncello" added a new dimension to Watson's sound. Aside from her relentless chiding of the sound men, Karrin Allyson was a joy in her role as headliner. I was almost moved to tears during her heartbreaking version "I'm Always Chasing Rainbows." Watson and bassist Bob Bowman sat in for a closing rendition of "Well, You Needn't." It was a fine conclusion to a festival that was easily the area's single best large-scale jazz event of the last five years. Karrin Allyson returns to the Prairie Village Jazz Festival on Saturday, September 8. Her band of ringers includes drummer Todd Strait. The pair perform a voice/drum duo in the embedded video. Allyson participated in an interview with Plastic Sax last year. *Joe Klopus previewed Thursday's Pat Metheny concert and Saturday's Prairie Village Jazz Festival. *The namesake of this site is shown at the 1:52 mark in another Buick-sponsored video featuring Hermon Mehari. *Hunter Long announced that the Black House Improvisors' Collective has been "renewed for another year of residency" with the Charlotte Street Foundation. *KCTV5 aired a feature about the charitable efforts of Mike Corrigan's Horn Doctor. *Bill McKemy's 2002 album Duende is praised by KCJazzLark. *Joyce Smith reports on renovations at the Drum Room. *Comment o' the Week: Sid- Recording engineer Chad Meise did a masterful job makingan otherwise sloppy band sound good and tight with digital editing. He should have run the voices through auto-tune though. The intonation or lack there of really exposes the mediocrity of the players in this group. Technically the sax solo is not fine. Are you deaf dude? This might be a good party band but so were the Bay City Rollers. *Information gleaned from the program of last weekend's Kansas City Irish Fest: 2011 Irish Fest attendees: 97,000. Volunteers: 1,100. Hotel room nights booked: 2,400. Admission to the three-day event was $5 on Friday and $15 on Saturday and Sunday. *From Dan Thomas: On September 20 I'll be releasing an album with my new band Voyage (Me, Wayne Hawkins, Forest Stewart, and Mike Warren) at the Blue Room. *From Michael Pagán: Swing into the Beginning of Fall KCYJ Style... “Fall Jam 2012”- A Benefit for Kansas City Youth Jazz at the Hotel Phillips. Hosted By Millie Edwards, featuring KCYJ Students • Instructors • Alumni. Musicians Welcome! Cash Bar • Hors d’oeuvres • Dinner Menu Available • Raffle Prizes • Silent Auction • Suggested Donation $25. Saturday September 22nd 7:00 PM – 11:00 PM Hotel Phillips Mezzanine. 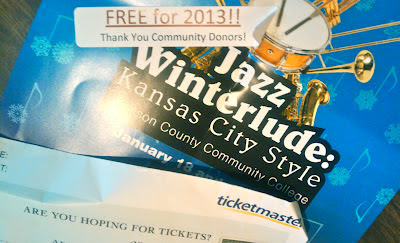 Info Call (816) 523-9024 or visit http://kcyouthjazz.org.